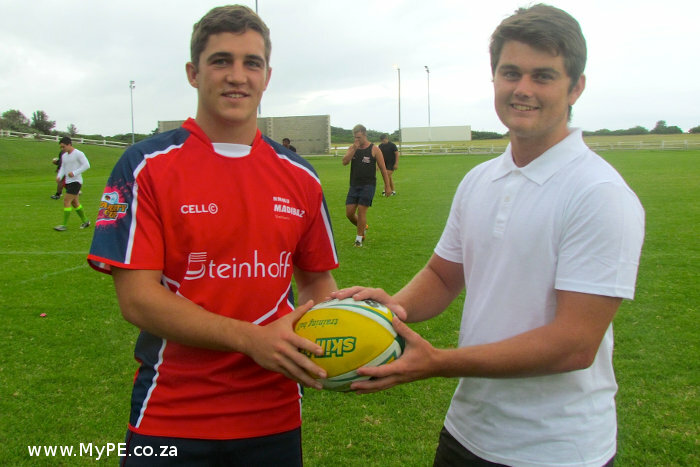 NMMU’s Steinhoff Stallions will be the new kids on the block in this year’s Steinhoff Koshuis rugby championship, after winning the university‘s internal league last year. The Stallions will make their debut with a home game against the University of Johannesburg‘s Steinhoff Bastion side in Port Elizabeth on March 2. Formed in 2010, the off-campus student team was created to introduce a wider competitive element to the NMMU inter-residence competition, which was previously dominated by only two teams. According to Stallions’ new team manager and former player Rico Rossouw, his players were well on track with their preparations and excited at the opportunity to represent the Madibaz brand. “We are set on keeping the momentum going after winning the internal league and building our strategic game,” said Rossouw. Rossouw said Mark Edwards would captain the side during the championship and described him as a great leader who facilitates good communication with players both on and off the field. He said their first few weeks of training had been focused on conditioning the players to ensure they reach match-ready fitness, which will be followed by technical skills training and, later, game strategies. After their first home game, they will play three away fixtures against Steinhoff Patria (Pukke), Steinhoff Medies (Maties) and Steinhoff Tigers (CUT). “Not having home ground support at away games may be seen as a disadvantage, however it will motivate us to work even harder,” said Rossouw. He described his men as motivated individuals, set on reaching their goals but always up for cracking a joke to lighten any situation.